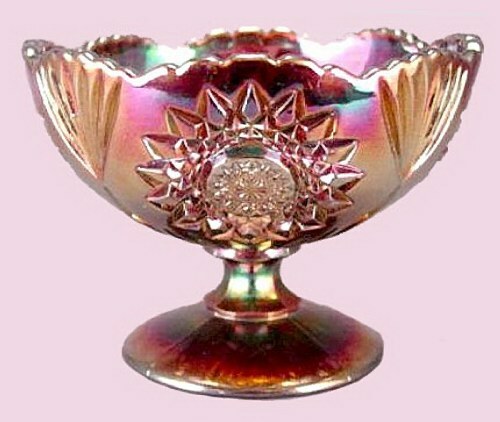 ELECTRA Compote by Brockwitz & Riihimaki. 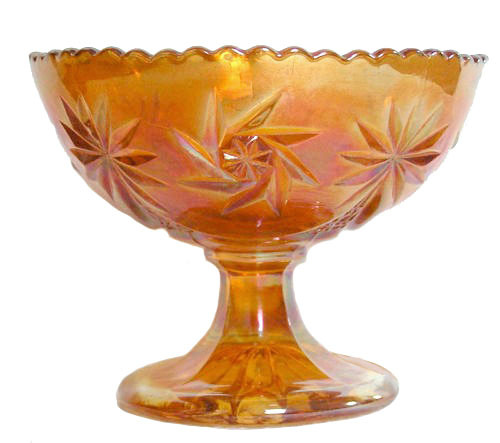 ELEKTRA Compote: This compote is 4” tall x 5 1/8” across the top edge, with a 3” base. 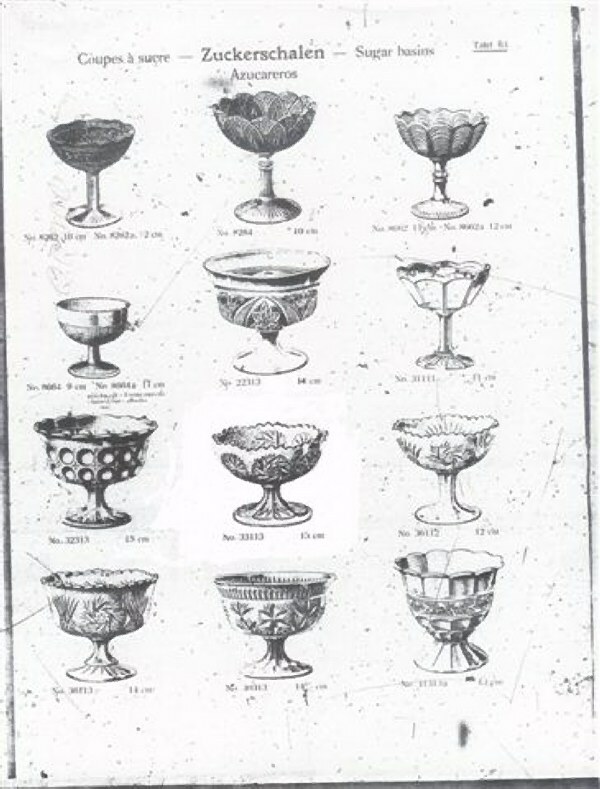 Like many other patterns, it was produced by two manufacturers. 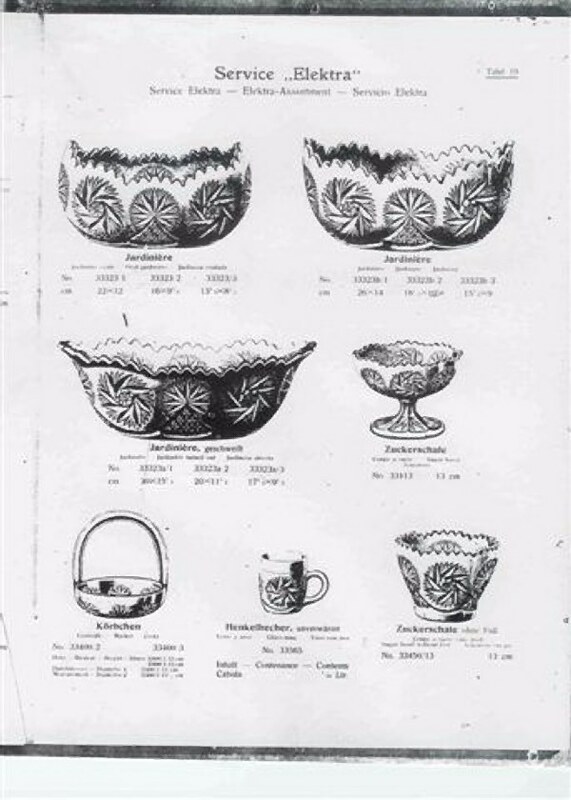 The compote is shown in a 1931 Brockwitz catalogue, as well as a 1939 Riihimaki catalogue. Left - 1928 Brockwitz NUTMEG GRATER - 5 inches tall. Right - CATHEDRAL ARCHES 9 in. 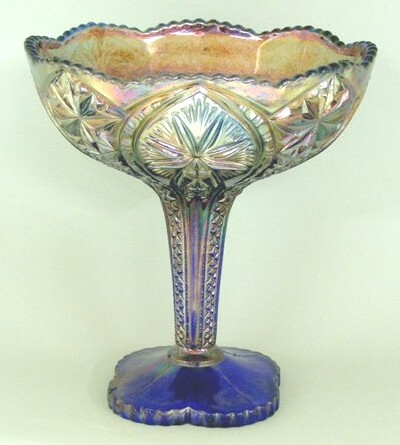 Compote, Blue - Courtesy Reichel Auctions. Blue STAR and HOBS Jardiniere (Brockwitz). 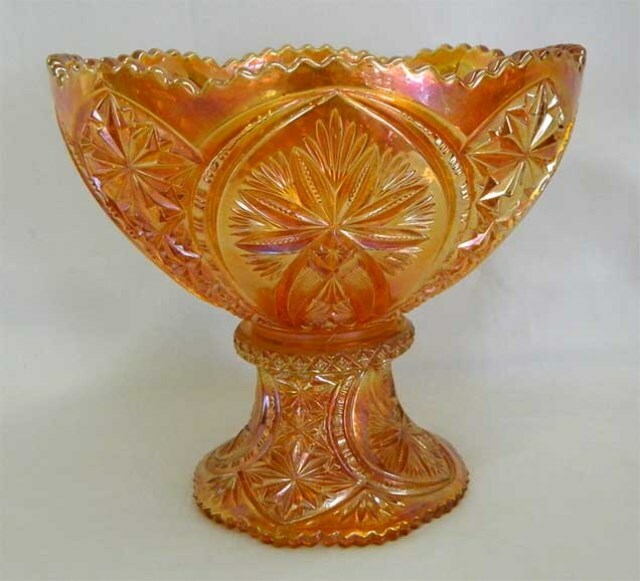 CATHEDRAL ARCHES Punch bowl & base in Marigold. CHARLOTTE Compote - 4 in. tall - Blue - one of three known. 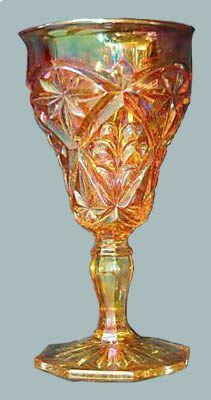 Right - COLUMN FLOWER or SQUARE DIAMOND, 8.5 in. tall-blue. 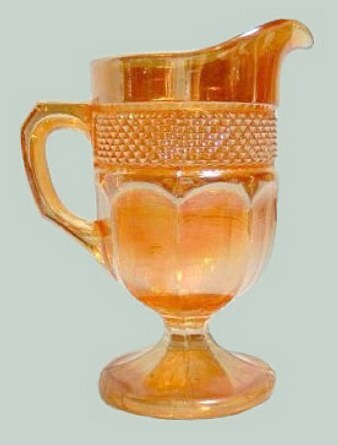 Left - MARGUERITE by Brockwitz - Germany, only a couple known in marigold. 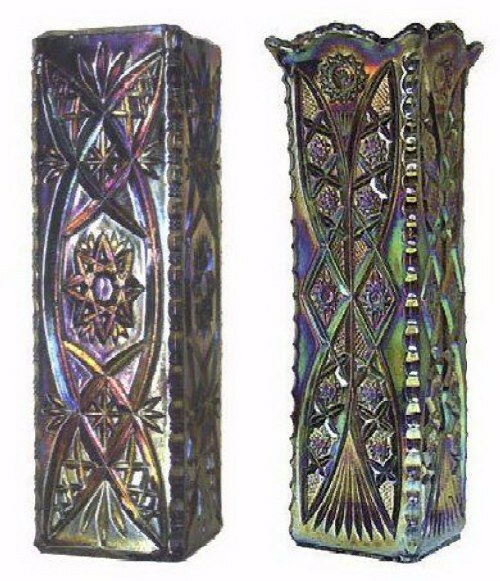 Right - PLUME PANELS & BOWS - 6.75 in. tall, Brockwitz--Jack Targonski. 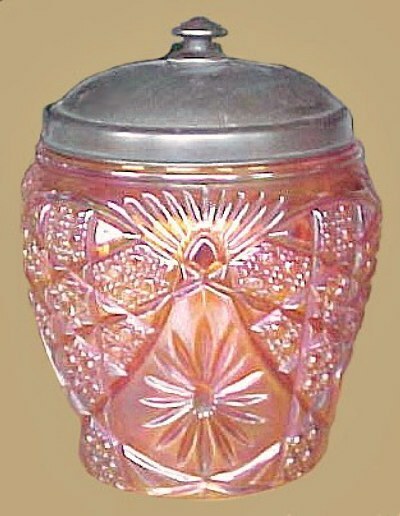 TRIPLE ALLIANCE Biscuit Jar by Brockwitz--7 in. tall.